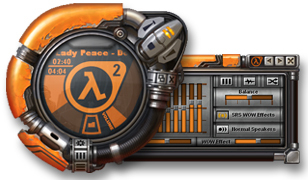 Half life fans will love this skin for WMP 9! 3. All done. You now have a new skin for WMP 9. * Note that it’s for windows media player 9 only! What a nice skins for Windows Media Player.